Day 2 on the Western Sydney buses was jam packed with laughter, games, fun and reflection. We departed from Nyngan early in the morning headed for Broken Hill, our rest stop for the night. Before we jumped on board, we crowned our Norm Nomination winners with the honour of being first in line for every meal. These are young people who followed the “norms” “Build People Up, Help People Grow, Because People Matter“ exceptionally well and deserve to be recognised. 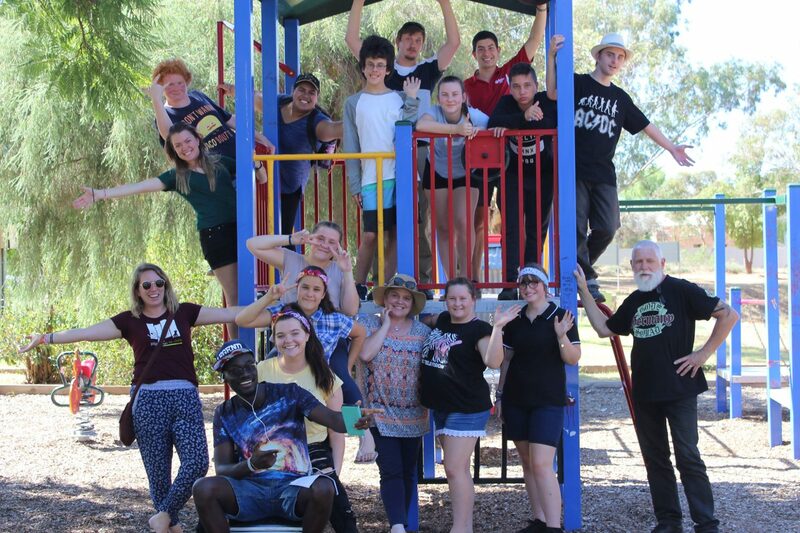 We arrived at Wilcannia for lunch a few hours later and again, hung out on some playground equipment to stretch our legs, pass the time with one another and enjoyed some yummy food prepared by some locals. After an hour we hit the road again, ready for our final destination, Broken Hill. Time slipped away with both buses so busy having fun with games like “Heads Up”, “1-21” and wrote some hilarious stories. We also spent a lot of time reflecting on our own cultural identity, where we come from, what our names mean and how we can positively impact others around us. 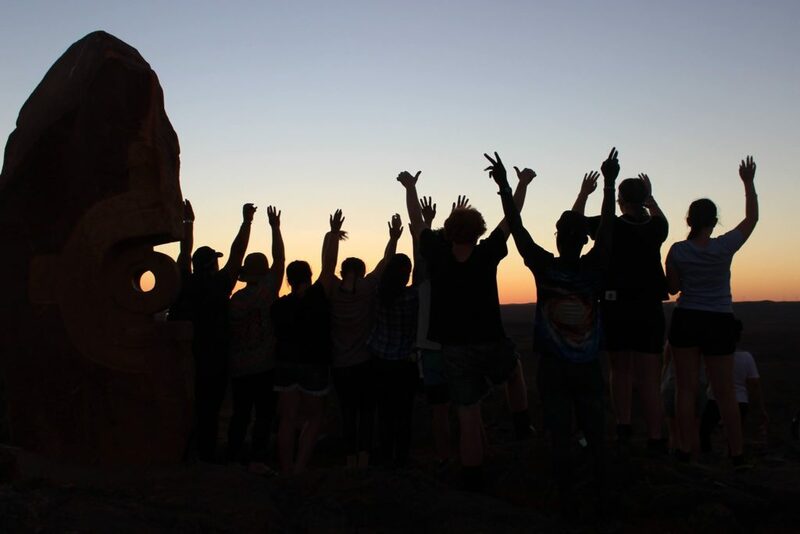 Once we arrived at Broken Hill, the sun was starting to set. 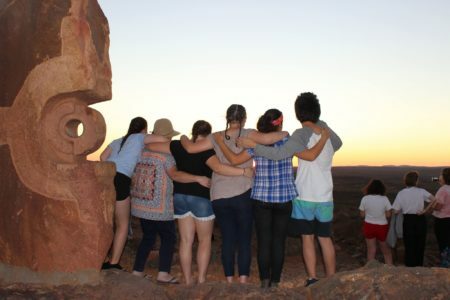 So we headed to the Sculptures in Broken Hill. As a group we travelled to the site and were ready for a relaxing, picturesque afternoon. This was such a special time for everyone to come together and make music, cook dinner, take photos and look up from cameras and devices to appreciate the beauty all around us. Before departing, we stood in silence to admire the stars and how they lit up the sky. After dinner we arrived back at our campsite, where we had a screening of “Rabbit Proof Fence” before bed, ready for what tomorrow has to offer.